“Through investments in innovation, our people, operations and societal impact, Visa continues to make progress toward our vision to be the best way to pay and be paid for everyone, everywhere,” said Douglas Sabo, vice president and head of Corporate Responsibility and Sustainability at Visa Inc. “We are tremendously proud of the progress made and the growing recognition we have received as a responsible and sustainable company." As outlined in the report, Visa’s progress helps support many elements of the United Nations Sustainable Development Goals (SDGs), the global roadmap for progress by 2030. Visa’s work includes contributions primarily to Goal 8, Decent Work and Economic Growth, and Goal 5, Gender Equality, as well as a number of secondary Goals focused on ending poverty, reducing inequality and combatting climate change. Among its growing recognition for corporate responsibility and sustainability, Visa was named to the 2017 Dow Jones Sustainability North America Index, the FTSE4Good Index, Corporate Responsibility Magazine’s 100 Best Corporate Citizens List, the World’s Most Ethical Companies list by the Ethisphere Institute, the Human Rights Campaign’s 2018 Corporate Equality Index for LGBTQ Equality and the Diversity Best Practices Inclusion Index. 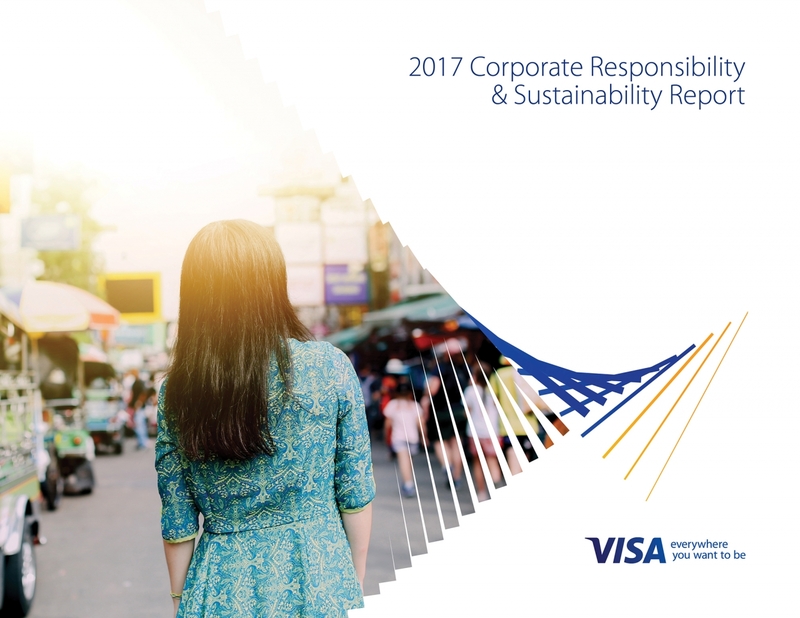 Learn more about Visa’s responsible business and sustainability progress by accessing the 2017 Corporate Responsibility and Sustainability Report.